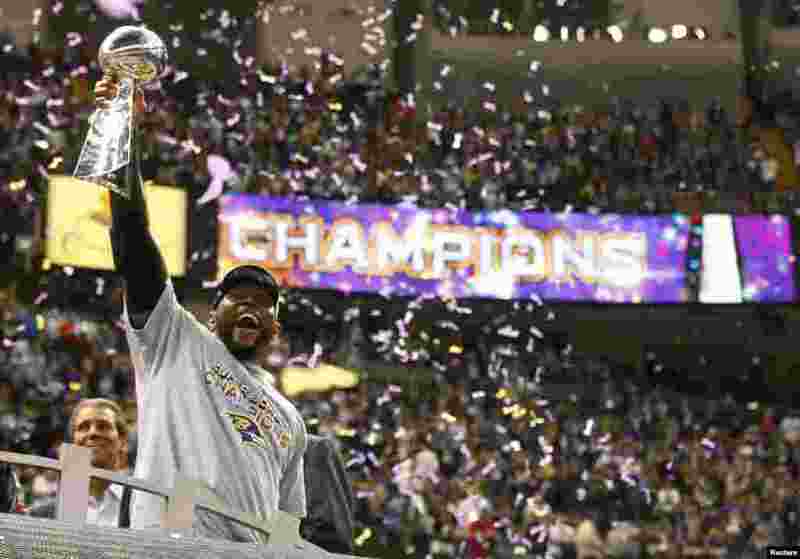 ۱ Baltimore Ravens inside linebacker Ray Lewis hoists the Vince Lombardi Trophy as he celebrates victory over the San Francisco 49ers in their NFL Super Bowl XLVII. ۲ Baltimore Ravens safety Ed Reed (20) celebrates his team's 34-31 win against the San Francisco 49ers. 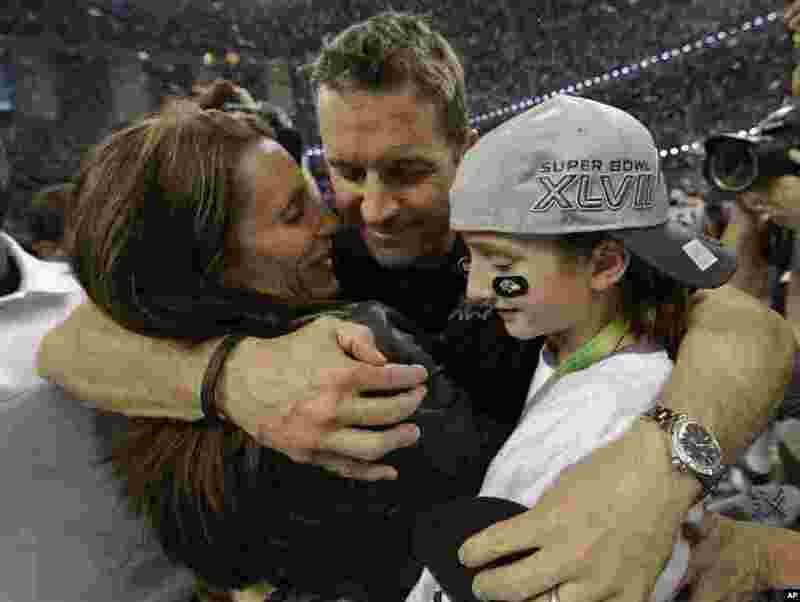 ۳ Baltimore Ravens head coach John Harbaugh hugs his wife Ingrid, left, and daughter Alison after defeating the San Francisco 49ers in the Super Bowl in New Orleans. ۴ Recording artist Beyonce performs in the Super Bowl XLVII Half Time show in New Orleans. 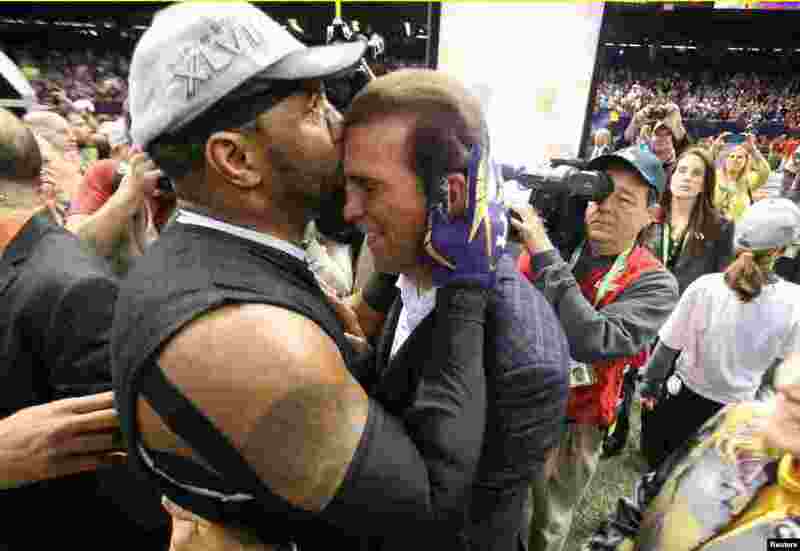 ۵ Baltimore Ravens inside linebacker Ray Lewis (L) kisses the forehead of team owner Steve Bisciotti after defeating the San Francisco 49ers. ۶ Baltimore Ravens tight end Billy Bajema (86) lies in the confetti on the field with his children as he celebrates his team defeating the San Francisco 49ers in the NFL Super Bowl XLVII.